Her Royal Highness the Princess Galyani Vadhana, Princess of Naradhiwas was admitted into the Siriraj Hospital in June 2007 for cancer treatment. While she was at the hospital, she still attended functions once in a while, until October when the Royal Household Bureau first announced an update on the Princess' health on 25 October 2007. Since then her health had deteriorated, and the public became worried. The bad news came on the morning of 2 January 2008, when the Thai people tuned on their TVs and radios to hear the morning news and found out that the Princess had passed away at 2.54am that day. Although many had sort of expected this bad news since her health was at a point where the doctors could not do anything anymore, it was still a shock that the beloved Princess has finally departed the world. The picture of His Majesty leaving the hospital after his sister has died, which was printed in all the newspapers the next day, prety much summed up how he felt, as well as how the Thai people felt. 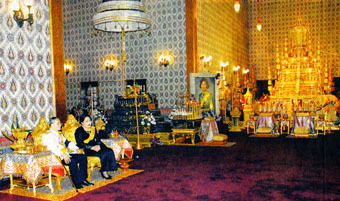 His Majesty has accorded the highest honour for his only sister, and arranged for her bathing rites to take place at the Piman Rataya Throne Hall, follow by the lying in state at the Dusit Maha Prasart Throne Hall in the Grand Palace, the same practice as past Kings and senior members of the Royal Family, which included HM Queen Sri Bajarindra, King Rama VIII, and more recently HM Queen Rambai Barni in 1984 and HRH the Princess Sri Nagarindra, the Princess Mother in 1995. The funeral urn used is the same diamond encrusted golden one used since King Rama I to Queen Rambai Barni and the Princess Mother. In front of the urn, the Princess' decorations were placed on the right, and her titled accompaniments on the left. The King also declared 100 days of mourning for the Royal Family and the Courts, while the Goverment declared 15 days of mourning for the land. It seems though that many will choose to be in mourning for the full 100 days. The procession started at 3pm on 2 January 2008 where the Princess Galyani was moved from Siriraj Hospital to the Piman Rataya Throne Hall where the Princesses Maha Chakri Sirindhorn and Chulabhorn awaited her arrival. At this throne hall, members of the Royals with the rank of Mom Chaos (Serene Highnesses) up were permitted to attend the bathing rites. 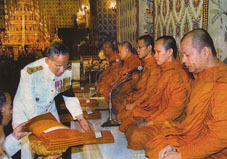 The general public were able to perform the bathing rites in front of the Princess' portrait at the Sala Saha Thai Samakom in the Grand Palace. 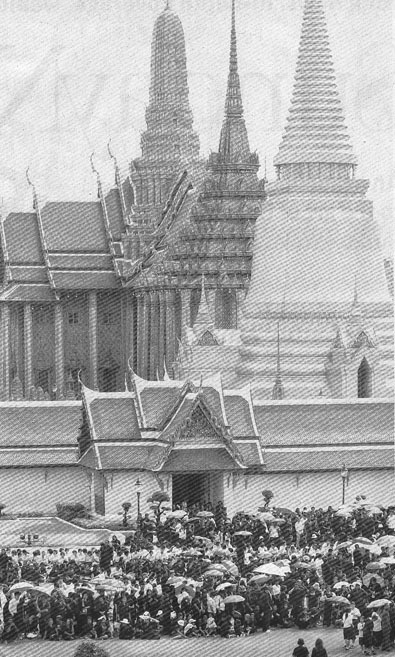 The Princess Galayani was then placed into the wooden coffin, and His Majesty the King lead the procession into the adjacent Dusit Maha Prasart Throne Hall. The procession involved the immediate Royal Family and included the Princess' daughter, son-in-law and grandson, and went past the members of the other Royal Houses that attended the ceremony within the inner area of the Throne Hall. Click on the picture at right to see more details. The next step for the State Funeral is the preparation for the Royal Cremation Ceremony. 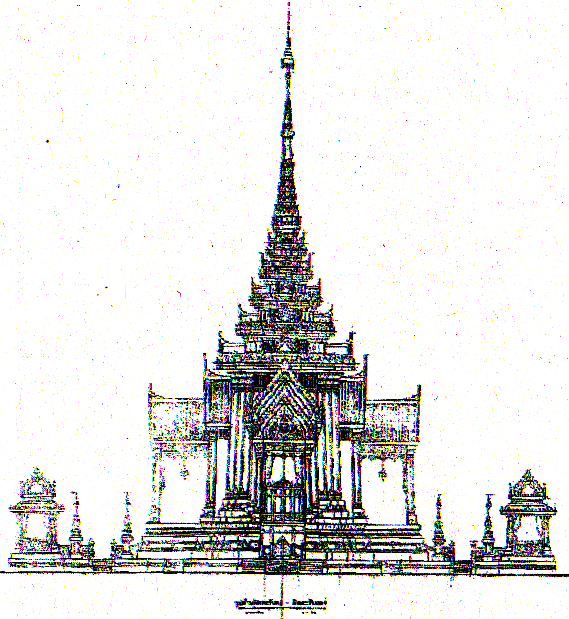 The Pra Merumas, or the Cremation Structure, is to be designed and built at the Royal Lawn, or Sanam Luang, in front of the Grand Palace. 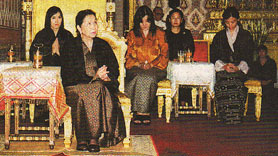 The newspapers reported on 9 December 2008 that the structure has been chosen by HRH Princess Maha Chakri Sirindhorn at the command of HM the King, shown at left. The structure will also have the 7-tiered umbrella, instead of the normal 5, as specially granted by the King. It is estimated that the structure will take 6-7 months to complete, as it will be hand-built and hand-decorated. In the old days, the structure would be entirely made of wood, but in modern times, wood is scarce and costly, so the basic structure will be made of metal, and decorated with wood instead. Click the picture at left to enlarge. Their Majesties the King and Queen and the Royal Family attended the 7th day rites in the evening of 9 January and morning of 10 January. HM the King has granted permission for the general public to pay respect to the Princess at the Dusit Maha Prasart Throne Hall. 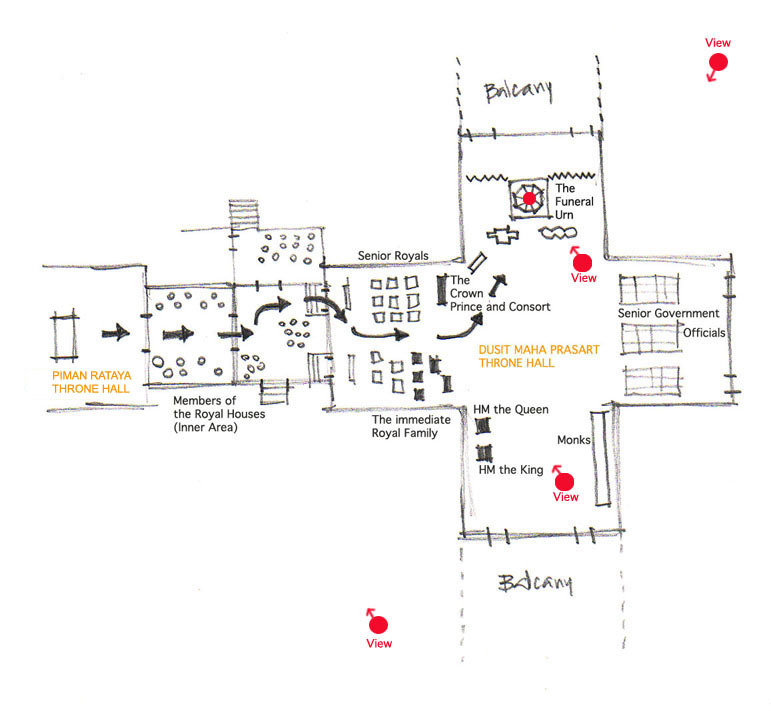 The Hall is open between 9am and 4pm. The general public can also attend the Buddhist rites at 6pm. Her Majesty Queen Ashi Kelzang Chhoedon Wangchuck, the Queen Grandmother of Bhutan visited the Dusit Maha Prasart Throne Hall to pay respect to HRH the Princess of Naradhiwas. 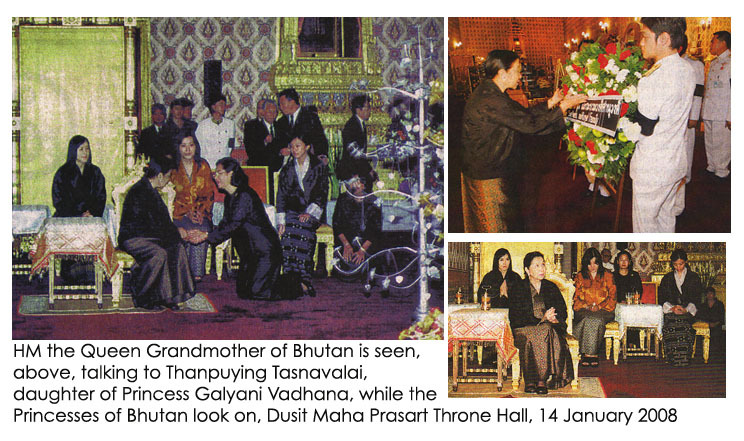 She was accompanied by members of the Bhutanese Royal Family. In addition, Her Majesty placed the wreath of His Majesty King Jigme Khesar Namgyal Wangchuck in front of the funeral urn. The Bhutanese Royals have been visiting Thailand often, and the so called "Jigme" Fever was hightened during the visit of the then Crown Prince of Bhutan for His Majesty the King's Diamond Jubilee celebration, who became a "pin-up" for many Thai girls. Click the picture to see more. Royal siblings of Morocco, Lalla Soukaina and Moulay Idriss, children of Her Royal Highness Princess Lalla Meryem, elder sister of His Majesty King Mohammed VI of Morocco, visited the Dusit Maha Prasart Throne Hall to pay respect to the late Princess of Naradhiwas. 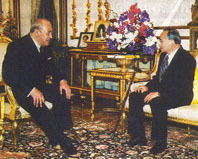 Royalties from Morocco seldom visit Thailand, but since the Diamond Jubilee in 2005, in which Princess Lalla Salma, consort of the King officially visited as guest of the Thai Royal Family, the Thai people has sinced noticed the going-ons of the other Royal Families of the World. In addition, Princess Lalla Salma was a strikingly tall and beautiful princess, with noticeably red hair, she stood out from the Royal crowds that gathered in Bangkok then. Click the picture to see more. Their Majesties the King and Queen, and the Royal Family attended the 15th day rites for the late Princess Galyani Vadhana at the Dusit Maha Prasart Throne Hall. It was announced that His Majesty the King, together with the Royal Houses of Thailand, will be hosting thefuneral rites every Wednesday during the 100 days period. On other days, the government offices and private entities can host the funeral rites, allowing people that want to pay their respect to be able to do so more closely. This hosting practice was also done during the funeral ceremony of Her Royal Highness Princess Sri Nagarindra, the Princess Mother. Click to see more. 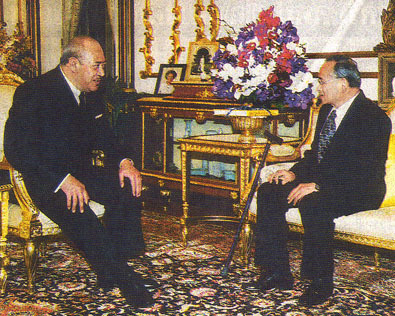 During the private visit to Thailand, His Majesty King George Tupou V of Tonga paid a visit to the Grand Palace to pay respect to Princess Galyani Vadhana. He then visited His Majesty the King at Chitralada Villa. Tonga and Thailand Royals are now more familiar with one another after the then Crown Prince of Tonga represented the late King Taufa'ahau Tupou IV during the Diamond Jubilee Celebration in 2005, a gathering of nearly all the royals from around the world. People in the thousands still visit the Grand Palace to pay their last respect to the Princess, especially during the weekends where people came from all parts of the kingdom.